One of the most difficult parts of genealogy research is determining if the records you come across really are for the particular individual you are researching. Here are a few basic things to check when you find a new record just to make sure you’ve got the right person. It is very common for ages and birth locations to be incorrect on censuses and other records, but if the names of family members are the same and children are in the correct birth order, you can usually assume that you have the right record. Don’t forget to pay attention to other individuals on the record as well. Neighbors in a census or other passengers on a ship manifest could be family members or close friends. If these same neighbors show up in multiple records, you can usually assume the records are for the same individual. An example from my own research comes from my search for James Bonnell. All I knew of him previously was that he was the father of David Lusk Bonnell. 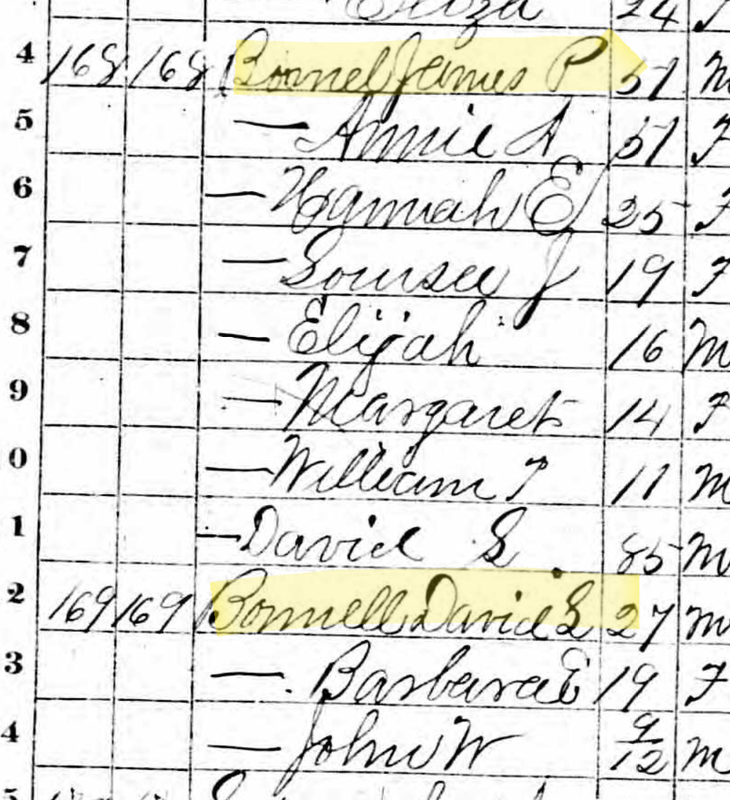 I found a James P Bonnel in the 1870 census, but from the transcription I had no way of knowing if it was my James or not. Looking at the actual record, however, I saw that my David L Bonnell was living right next door! You can also see that there is a possible father for James listed in his household, another David L who was 28 years older than James. Just because it says that the person was born in the same state or country as the one you are looking for, that doesn’t necessarily mean you’ve found the correct individual. But if they are living in the same town as a known relative or within a short distance of a location shown in another record, there is a greater likelihood of them being the right person. I often use Google Maps to find the distance between two locations. For example, my grandmother had been told about a cousin, Vittorio, who had emigrated from Italy to Argentina in the early 1900’s. She knew nothing of this cousin except his name and the address of his nephew who also lived in Argentina. 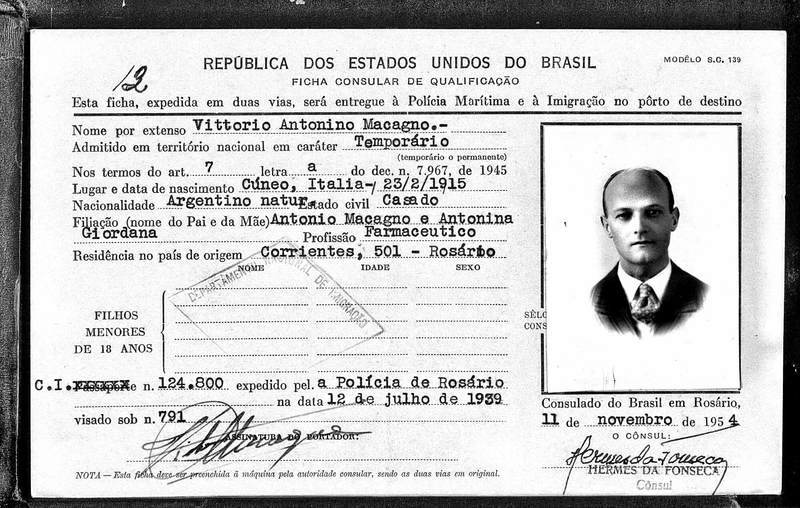 A quick search on Ancestry.com produced a Brazilian immigration record for a man named Vittorio who appeared to be about the right age and was from the same Italian region as my grandma. Upon further inspection, we found that this record contained a previous address for Vittorio in Argentina. I immediately typed the address into Google Maps along with the nephew’s address and found that they were only about 1.5 miles apart. The chance of finding a random stranger with the right name and age living this close to the nephew is very slim so I think it’s safe to say we found our Vittorio. The occupation field is often overlooked in records because it is rarely transcribed. If your ancestors had a very common occupation such as farmer or housewife, you can probably continue to ignore it, but if they had a more unusual occupation it can be a great help. One of my husband’s family lines reached a brickwall with George Davidson. The earliest record I had for him was an 1860 census just shortly after he had married, but with a name that common I wasn’t sure which George was the right one in the 1850 census. While making my family history binder, I printed his 1860 census and noticed his occupation said “tailor”. I decided to do a quick search on Ancestry.com for a George Davidson in the 1850 census born within 5 years of 1831 in Ohio. I ended up with a list of 7 possible Georges. I went through the images of each of these census records finding farmer after farmer until I finally found one with a George who was a tailor! And he was listed with his parents and siblings! Many times, sons will also continue in the same occupation as their fathers. One of my husband’s lines has at least 6 generations of plasterers. This has made it easy to follow not only the direct line but also find uncles and cousins who continued this tradition. You should, of course, consider every part of a record to determine if it really is your ancestor, but hopefully this will be a good starting point for some of you. I’d love to hear if any of you have additional tips to share! 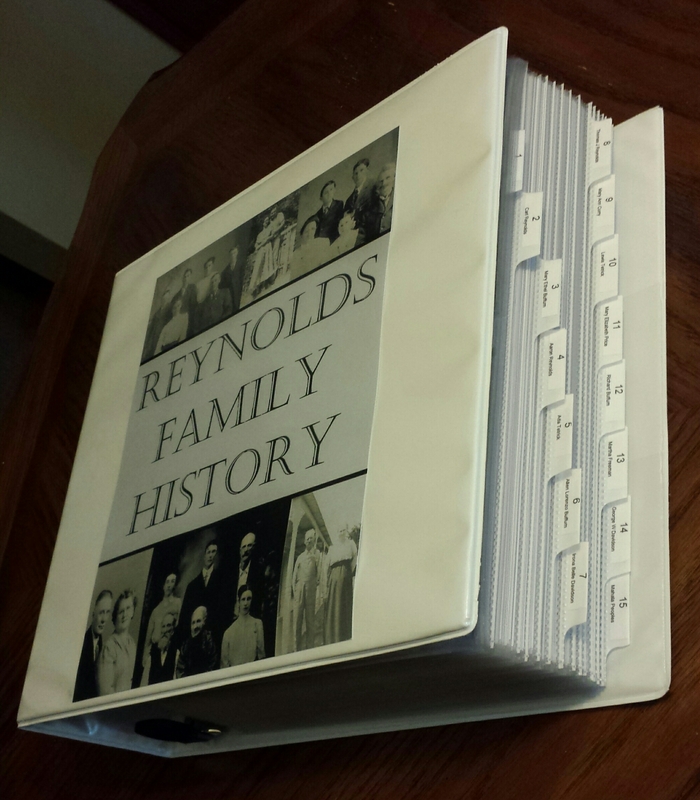 This is the sixth and final post of my Family History Binder series. Click here to go back to part one. Most of my sources were obtained on Ancestry.com and Familysearch.org. For any online documents, I printed the image of the document and then also printed the transcription page from the website with the source information. I placed the transcription page behind each document in the same sheet protector. I wanted to be able to easily find the individual’s name in each document, so I highlighted the corresponding line in the document with a yellow highlighter. This is especially helpful in census records or city directories that contain many names. Before highlighting, I made sure I let the ink dry for at least 30 minutes or else the ink smeared. I don’t personally have any original documents for this line of the family, but I was able to obtain quite a few copies just from asking relatives. My in-laws have a cardboard box of various family records that I was able to borrow and scan into my computer using an Epson WorkForce Scanner . I love how quickly I was able to scan stacks of documents while still having high resolutions for photos. Facebook also proved quite helpful in obtaining records and photos. I received a few items by simply asking our Reynolds Family Facebook group. I also came across the Buffum Family Association group (my husband’s great-grandmother was a Buffum) and asked if anyone had information about our particular line. The next day I was sent over a dozen old photos of ancestors, most of which I had never seen pictures of before. As my research has continued, I have already found several new sources that I will add to my binder. I hope to make similar binders for all of my other family lines and will post updates here on my blog as my work progresses, along with other research tips. This is the fourth post in my Family History Binder series. Click here to go back to part 1. 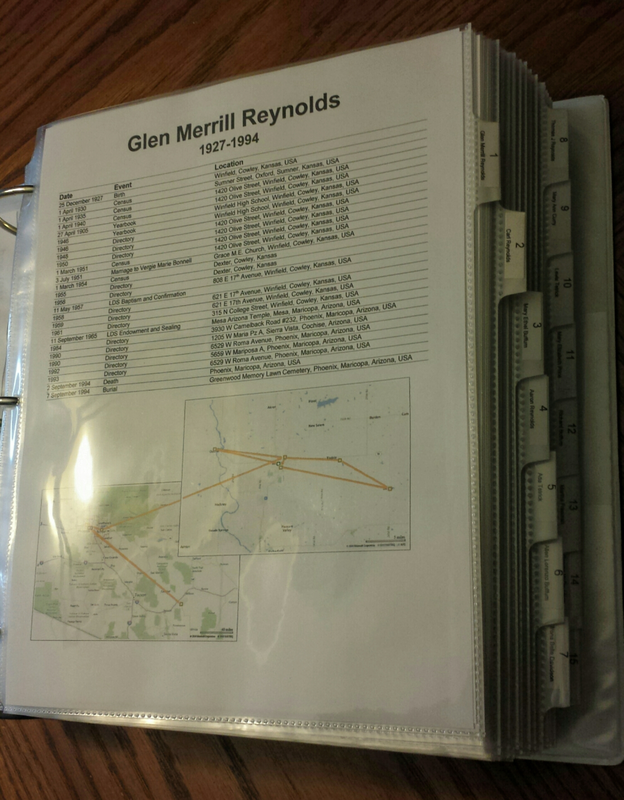 The first divider in my family history binder is labeled “maps, photos, etc”. I had originally planned on putting this section last in my binder, but I found that this was the section that people were most interested in looking at and I didn’t want to make them flip past the 200 pages of documents every time. My photo section includes copies of every photo I have of the 15 ancestors in my pedigree chart (see Part 3). I purchased Ultra Pro 5X7 Photo Pages to organize them before discovering that it is actually fairly expensive to have 5x7s printed. I could have used 4×6 but decided instead to have 5x7s printed on glossy cardstock at Staples. I put 2 on each page and then cut them out with my Fiskars Paper Trimmer. What I love about the Ultra Pro 5X7 Photo Pages is the extra slot next to each photo where you can put a caption. In my captions, I also included the number of each individual (refer to Part 3 to see my numbering system). My reason for not placing the photos of the individual in their specific section of the binder is that I would need to make multiple copies of many family portraits (the top photo shown here would need to be printed for Carl, Ada, and Aaron’s sections). I added “etc” to my divider tab so that I can add other types documents in the future if I find that they don’t fit anywhere else, like a family crest or DNA data. Click here to go to part 5 of the Family History Binder series.